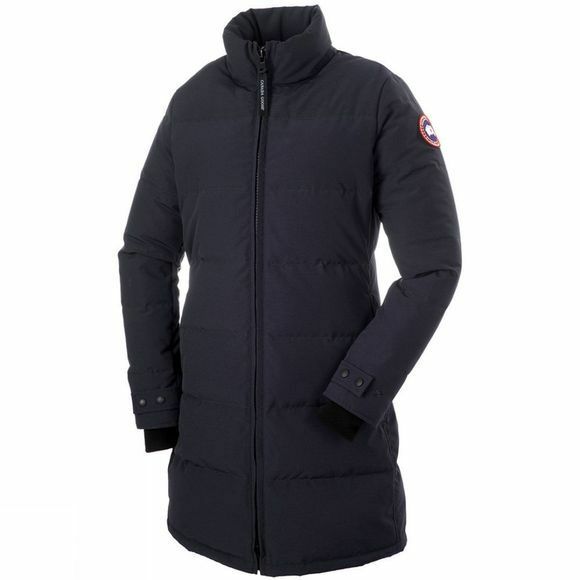 The womens Canada Goose Heatherton Parka offers you exceptional warmth and style, ideal for those colder days. This stylish yet versatile jacket can withstand temperatures as low as 15°. Crafted from Canada Goose Arctic-tech™ fabric offering you their most proven fabric design to stay dry in extreme conditions and climates. For added warmth the Heatherton features two-fleece lined handwarmer pockets and heavy duty, rib-knit cuff to help keep the cold out. This stylish mid-thigh length jacket will carry you through this cold season ahead in warmth and style boasting an array of features to offer you added convenience. For added wearability this jacket has been tailored to a slim fit to offer you a flattering fit you are bound to love. This jacket has been finished with a durable water repellent finish meaning no need to worry about the ever changing elements, braving extreme weathers with style and ease.